Everybody Wanted Some Good Movies in 2016!! Every year around this time, movie watchers put on end-of-the-year goggles and delight in the riches that come with awards season movie releases. There was also a great video by a YouTuber who calls himself the Nerdwriter about the epidemic of “passable” movies. To be sure, neither Ty or the Nerdwriter — or the multiple other critics who wrote similar columns — was wrong. Much of 2016 did feel seriously lacking in great cinematic pleasure. 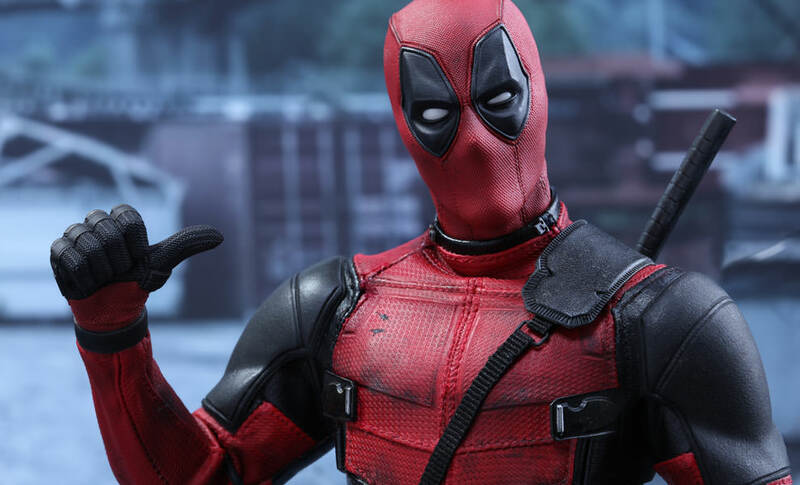 Looking back now, while it may not have been the best movie year in recent history, 2016 did bring us plenty of pleasure: There was the dirty-minded fun of films like Deadpool and Sausage Party, the impressive visuals of The Jungle Book and The Shallows, the bizarro creativity of Swiss Army Man, the strong female leads of Edge of Seventeen and Hidden Figures, and the action-packed wonders of Captain America: Civil War, Doctor Strange, and Rogue One: A Star Wars Story. So, when it came time for me to look back on the more than 70 movies I saw this year and create a list of my 10 favorites, it proved more challenging than I expected — and not because of a lack of options. No, when all was said and done, 2016 wasn’t as bad a year at the movies as I initially thought it was. 1. Everybody Wants Some!!. If this was a list of “best” movies and not my “favorite” movies, you’d probably be reading something else right now. But Richard Linklater’s “spiritual sequel” to Dazed and Confused was, indeed, the one movie I enjoyed most of all this year. It’s classic Linklater: rambling and talky, where not a lot happens in a short period of time, but everything happens. In EWS!! (and yes, those two exclamation points are in the official title) our protagonist (Blake Jenner, from Glee) settles into a fictional southern Texas university the weekend before classes start in 1980, and adjusts to life with his baseball teammates (who he also lives with). The guys walk, drive around, hang out, compete in blatant and subtle ways for most masculine and/or desirable member of the team, and generally, conduct a perpetual search for girls to sleep with. There’s natural chemistry between the guys, and the setting feels so familiar, I half-expected to see Matthew McConaughey’s Wooderson make a cameo appearance outside one of the bars the team frequents. This is Linklater’s world, one where relationships matter more than time, where the dialogue is quotable and insightful, and the performances all have a lived-in, natural quality. For two hours, we are privileged just to be a part of it. 2. Manchester by the Sea. A beautiful movie about moving on from grief, featuring a tremendous performance by Casey Affleck and a heartbreaking one by Michelle Williams, Manchester may not have been the happiest of movies, but it was one of the most touching. Writer/director Kenneth Lonergan uses multiple shots of the water and the streets to give the film a real sense of place, and his brilliant, thoughtful use of quiet, along with the slow pace of the film, effectively convey that resolution doesn’t often come quickly. 3. Arrival. On the surface, Denis Villeneuve’s movie might seem like a sci-fi tale of alien invasion. That’s certainly how it was marketed. But instead, this is a story of communication, diplomacy, and how we react to things we don’t know or understand. Written by Eric Heisserer and anchored by star Amy Adams, the film had a perfectly timed release date right after the election that only made it feel more significant. 4. Gleason. This terrific documentary covers five years in the life of former New Orleans Saints defensive back Steve Gleason, during which he was diagnosed with ALS and had a son with his wife, Michel. The film presents an unflinching portrait of the effect this horrible disease has — not just on the person, but on all those around him. And while it’s a tough watch, Gleason is not a total downer: The film deals with the power of attitude over adversity, the relationship between fathers and sons, and having the strength to never wave a white flag when your body is doing just that. Gleason has a powerful message, and it hits you right in the gut. 5. Hell or High Water. 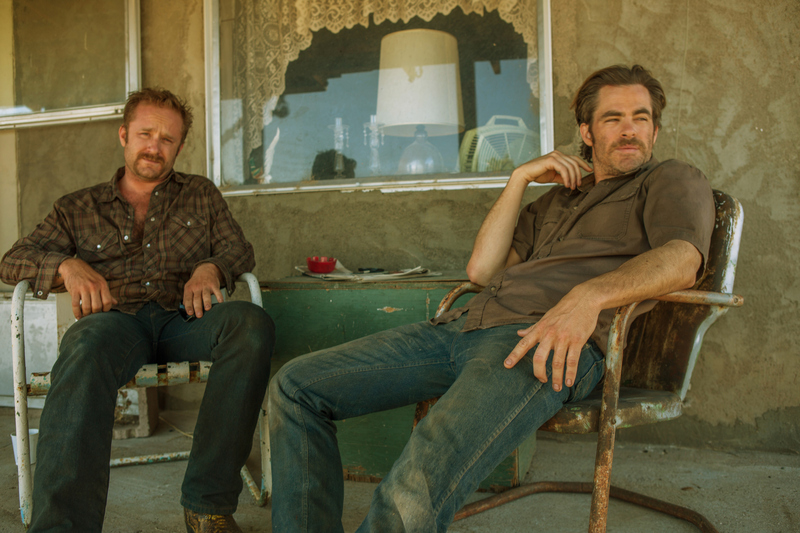 An of-the-moment modern-day Western, set in dusty West Texas, this film tells the story of two desperate brothers (Chris Pine and Ben Foster), who target various branches of a bank that’s threatening to foreclose on the family farm, while a crusty, close-to-retirement Texas Ranger (Jeff Bridges) follows in hot pursuit. Want a peek inside the mindset of those in so-called forgotten parts of this country, who feel victimized by a system rigged against them? This movie provides it. 6. Moonlight. An excellent, soulful movie about sexuality and identity in the black community, Barry Jenkins’ film is a quiet masterpiece: Not a heavy-handed “statement movie,” but one that slowly unfolds, showing how our main character (played by three different actors, at three different ages) learns to find himself amid a world of poverty, drug addiction, and bullying. 7. Sing Street. Jon Carney will probably never make another film as good as Once, but this one, about a 15-year-old schoolboy in 1985 Dublin who finds healing power in music when he starts a band to impress a girl (really, is there a better reason? 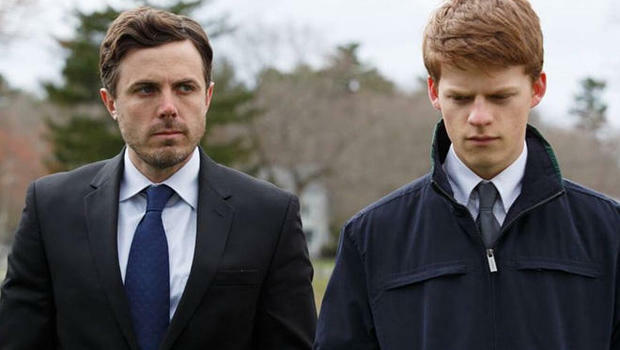 ), was one of the biggest surprises of the year (especially after Carney’s last film, Begin Again, was so disappointing). The songs have a great ’80s catchiness to them — “Drive It Like You Stole It” and “Beautiful Sea” are particular favorites — the story is as tough as it is sweet, and the leads give impressive, winning performances. 8. Jackie. Watching this film, it’s hard not to think of the line from Lin-Manuel Miranda’s Hamilton: “Who lives, who dies, who tells your story?” Director Pablo Larrain’s look at the former first lady following the assassination of President Kennedy in Dallas, finds her being interviewed by a journalist and deliberately crafting the story of Camelot as she goes along. Natalie Portman, in an excellent performance, portrays Jackie as simultaneously shocked and grieving, but concerned with her and her husband’s legacies. This film provides an intimate look at the woman behind what is often just a superficial image — one she made a conscious effort to create. 9. La La Land. Admittedly, it took me two viewings to fully appreciate this movie as much as I wanted to. And when it hit me — wow! From its stunning opening number set in the midst of a Los Angeles traffic jam to its beautiful finale, it’s hard to pick a favorite moment. That said, the magic of “Lovely Night,” as stars Ryan Gosling and Emma Stone begin to connect on an overlook near the Griffith Observatory, sure does leave an impression. To be sure, La La Land is not as good as Damien Chazelle’s last film, Whiplash, but you’d have to hate movies not to be won over by La La Land’s many, many charms. 10. Lion. One from the reality-is-better-than-any-fictional-story department, Lion tells the true story of a five-year-old Indian boy who gets lost when he falls asleep on a train, and how, 25 years later, now living in Australia after being raised by an adopted family, he tries to track down his birth mother and brother using Google Earth, among other tools. This is a better than expected, wonderful movie about home and family, and finding yourself — literally and figuratively — in the world. It’s a tribute to the love of adopted parents that’s respectful of the adoptees too, and the family they leave behind. These four movies (listed alphabetically) came really close, but ultimately fell just outside the top 10. Don’t Think Twice. Mike Birbiglia’s film is an insightful look at the stunted growth and unwillingness to move on among a tight group of friends when one of them gets a big break. It was a perfect late-summer release, given its themes of growing up and getting a fresh start. Fences. 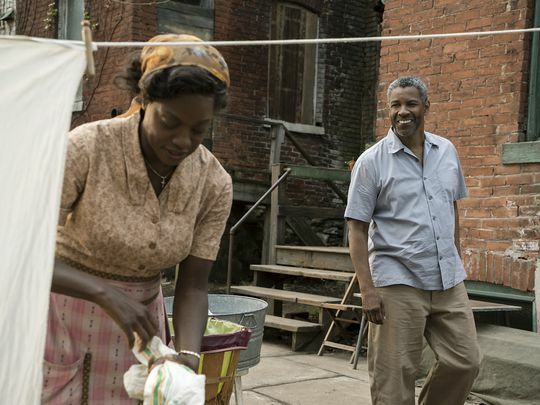 Powerhouse performances by Denzel Washington and Viola Davis anchor this adaptation of August Wilson’s play. It feels stagey, and the first 2/3 are better than the last third, but damn, can those two act. Nocturnal Animals. A stylish and brutal revenge thriller, well acted by Amy Adams, Jake Gyllenhaal, and Michael Shannon, and brilliantly directed by the clothing designer Tom Ford. And that opening credits sequence — holy cow! Tickled. The strangest film — documentary or otherwise — I’ve seen since Catfish, this alternately funny and creepy movie follows a New Zealand TV reporter who follows the rabbit hole of Competitive Endurance Tickling and winds up in a web of deceit, legal threats, and increasing ridiculousness. Of the movies I really didn’t enjoy (listed here alphabetically), there were a lot of obvious choices. American Pastoral. Ewan McGregor, making his directorial debut, should probably stick to acting. Batman v Superman: Dawn of Justice. Big, loud, overstuffed, and meh. Dirty Grandpa. This is a more embarrassing film for Robert De Niro than The Intern was. 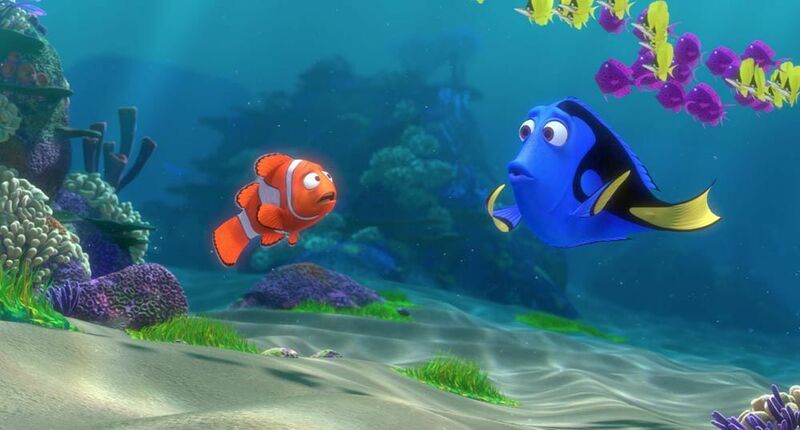 Finding Dory. Not bad, per se. Just a disappointing retread. The Finest Hours. A rescue movie where you don’t care who, if anyone, survives. Mike and Dave Need Wedding Dates. Yet another awful film starring Zac Efron. Money Monster. At least this one was kinda short. Rules Don’t Apply. Overlong and confusing, this one’s a mess. Suicide Squad. A mess, capped by Jared Leto’s awful Joker. And there you have it. Roll credits on 2016, and bring on the 2017 releases! What were YOUR favorite movies of 2016? Share your answer in the comments section below. And please, tweet this blog post.